Home arrow_forwardFeatured Animal Rescue Transportarrow_forwardHave you ever heard of the River Rakitnica Canyon? Have you ever heard of the River Rakitnica Canyon? 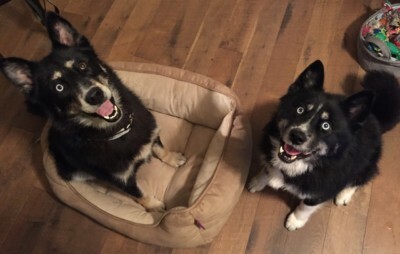 Meet Blue and Ice, 3-4 year old Husky mixes. 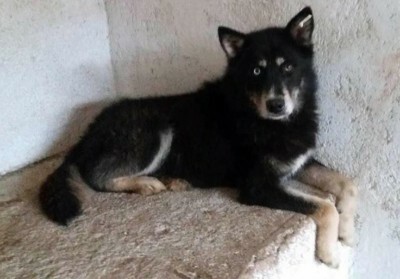 Ice was rescued in October, 2014 with three other dogs that had just been spayed or neutered. Ice was found after being thrown into the Rakitnica Canyon River. Luckily, there was a woman passing by and heard the dogs barking. She immediately called animal rescue, but since they were thrown into a canyon, they could not be easily rescued, so a mountain rescue service was needed. An investigation was done by tracing the abandoned dogs ear tags, but no information could be shared with the rescue team. Their transport coordinator, Katie was deployed to Sarajevo in Bosnia, where she met the woman who rescued Blue and Ice. 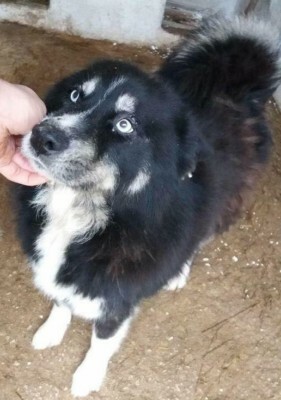 Blue was living on the street in Ilidza, Bosnia, and was being fed by a local rescue. When the local rescue started catching stray dogs, they had to move Blue into a different shelter leaving him in bad living conditions. Despite her hardships, Ice is a great dog who gets along very well with others. Knowing what she went through, it is safe to say she likes to be in charge of her own life, but appreciates the occasional bath, cuddles and playtime! Blue has the same personality as Ice, but he is more cautious. Katie met Ice and Blue only one time before when visiting Bosnia. Her local friend, Nina, was the one who found Ice after being dumped in the river. Nina kept Ice in her home for the last several years since she was rescued, and was also caring for Blue. Compared to the United States, Bosnia has different animal welfare laws. In Bosnia, there are countless strays that roam the country. They are left to fend for themselves and oftentimes are exposed to cruelty and neglect. Katie and her rescue try to find homes for the strays in Europe, but sometimes there are stories, like Blue and Ice, that give them the chance to bring them back to the United States. The timing for these two was meant to be. One person was flying back to Boston from Sarajevo, Bosnia, and willingly offered to take Blue and Ice back to the United States with her. Just their luck, there was just enough space for all of them on the plane ride home. Once they got back to the United States, it was a rush to find fosters or adopters around Boston. Katie’s sister suggested she use Doobert after reading about us in their local paper. She quickly created a transport for Blue and Ice with a few days to spare. Just in time, they found a volunteer to pick them up at the airport and to foster them, and also found enough drivers to take them from Boston to their foster home in Virginia. Thanks to the The Tanzie Project, Blue and Ice were removed from unfortunate circumstances, and gave them a second chance at life. The Tanzie Project hopes to find forever homes for Blue and Ice very soon. Both are beautiful, sweet, loving dogs, who were lucky enough to be rescued and given a chance at a good life with a forever family. 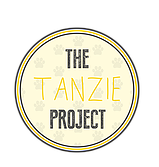 The Tanzie Project was started by Katie after she was in Bosnia and fell in love with and adopted her own street dog while she was there, named Tanzie. She could not forget about these dogs after returning home, so The Tanzie Project was started. To learn more about The Tanzie Project, click here.